Application: Moulded 50mm deep grey grating used in the Power Distribution industry as an internal switch room building on an electrical sub-station. This entry was posted in Case Studies, Power on June 6, 2016 by admin. 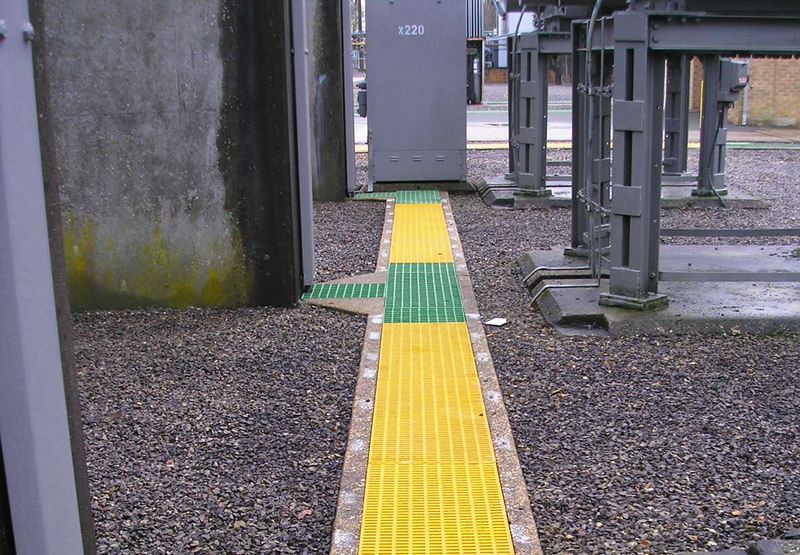 Application: Yellow 50mm deep High Load Capacity (HLC) Moulded GRP grating used in the Power Distribution industry on sub-stations for vehicular crossing points for safe vehicle access points. 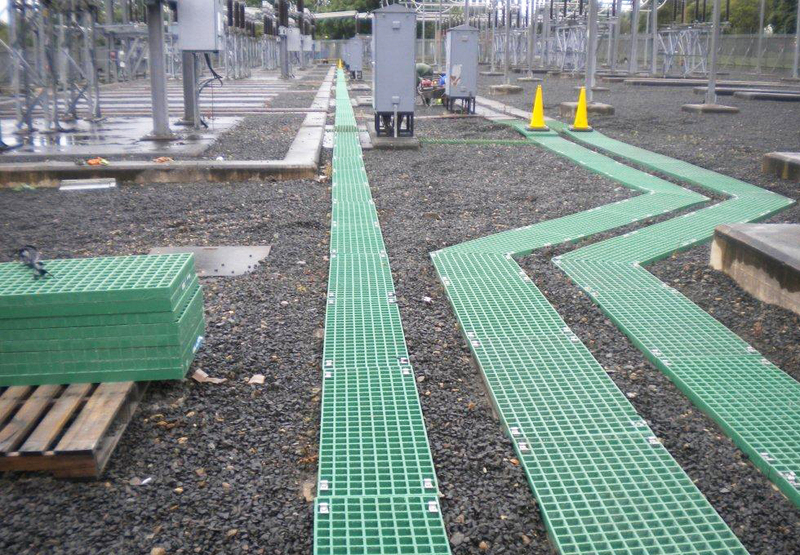 Application: 50mm deep Moulded GRP grating used in the Power Distribution industry as a direct replacement on the majority of sub-stations for old concrete trench covers. 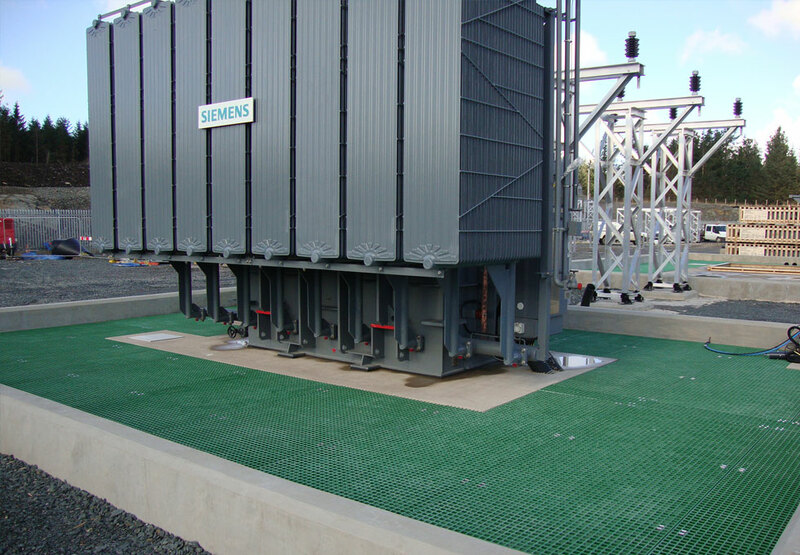 Application: Core6 GRP anti-slip moulded grating fitted to transformer bunds on a new electrical sub-station in the West of Scotland. 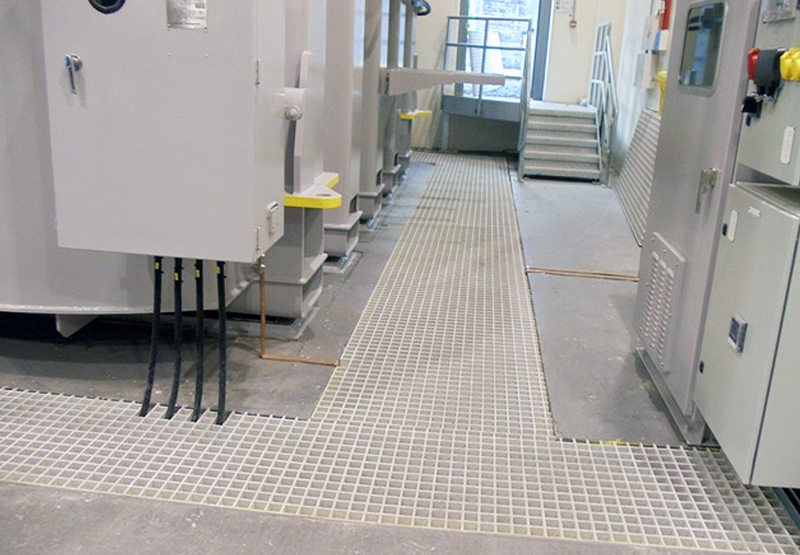 Moulded grating was fitted to adjustable Buzon legs to raise the flooring up to 1.2m from the bund floor level. The benefit of having grating on legs to make a high-level mezzanine floor was to eliminate the need for a costly support structure.